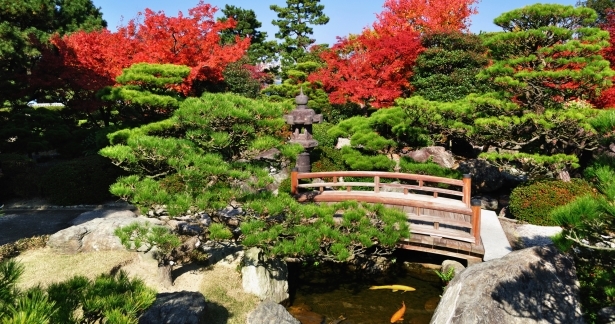 Fukuoka is located on the Kyushu island in Japan and is ranked one of the world’s most liveable cities. With its hot summers, mild winters and numerous attractions, it’s no wonder that tourists flock to this part of Japan time and time again. The city is certainly prepared to welcome guests and accommodation in Fukuoka varies from luxurious hotels to low cost hostels. There are even a few beach resorts in Fukuoka to choose from. One of the best things about this city is that there are so many places to visit and enjoy the outdoors. Some of the top wildlife areas and parks include Nokonoshima Island, Ohori Park and Maizuru Park. Umi no nakamichi Seaside Park is perfect for the whole family and for younger visitors especially. Island Park is another pleasant garden where you can relax with the whole family and let the kids use up some of their youthful energy. Marine World is always a hit with visitors and, while there are indoor facilities, there are also outdoor shows to enjoy and the Fukuoka City Zoological Garden is another lovely trip out for the whole family. There are some fantastic and very interesting structures to visit in Fukuoka. Popular religious sites include the Tochoji Temple, the Kushida Shrine, the Jotenji Temple and Hakozakigu. The Fukuoka Castle Remains are also great to visit. The castle was built in the 1600s and, when you visit, you can also enjoy a lovely view of the city of Fukuoka. Of course, for an even more spectacular view, a trip up the Fukuoka Tower is the way to go! Top museums in the city include the Fukuoka Art Museum, the Fukuoka Asian Art Museum, the Fukuoka City Museum and the Korokanatotenjikan. The museums you choose to visit will largely depend on your personal interests and preferences. For those who enjoy shopping, you are definitely in the right place! You should hear the Kawabatadori Shopping Street, the Nishijin Shopping District and other top shopping areas calling your name already! When making your final decision on where to stay in Fukuoka, it’s advisable that you browse around online first. Have a look at all the different hotels in Fukuoka and choose the one that suits your needs, preferences and budget the best. By searching and booking accommodation online, not only do you stand to save a lot of money but you can also find the best property for your requirements.